Perfect Manhole System can be installed in minutes rather than the traditional labour intensive method. Save time and money. A monolithic precast concrete bases (available pre-benched in any configuration within just days of requisition). A rubber joint or butyl sealant strip. A sealed cover slab which is supplied with your required access. A sealed pipe connection for various pipe types. This unique system of products combines to form the Perfect Manhole system. Designed and manufactured to last a minimum of 120 years. This is a sealed manhole system that gives up to 40% savings on greenhouse gases compared to traditional manhole construction and eliminates the need of ready mixed concrete to form the traditional base and chamber benching. 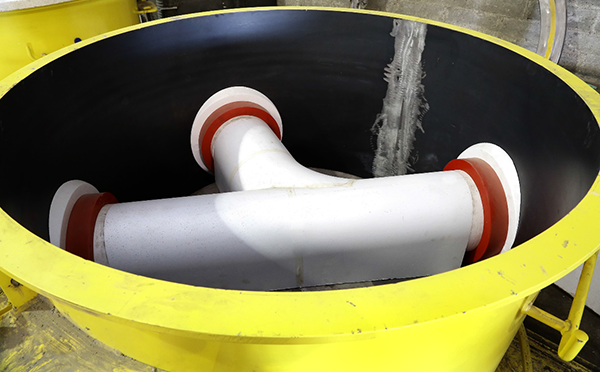 The Perfect Manhole can be installed in as little as 25 minutes, reducing the need to work in confined spaces, helping safe site practice, and eliminates the need for wet trades resulting in rapid construction compared to traditional methods as well as a reduction in the time the excavation is open. The Perfect Manhole complies with ISEN 1917:2002 and IS420 and has been accepted for use by all major UK and Irish companies. No requirement to work in confined spaces. No requirement to form a concrete surround around base. Cast in lift anchors for safe and secure handling. Up to 40% savings on GHG emissions compared with traditional build. Eliminates the need for wet trades resulting in rapid construction compared to conventional methods. 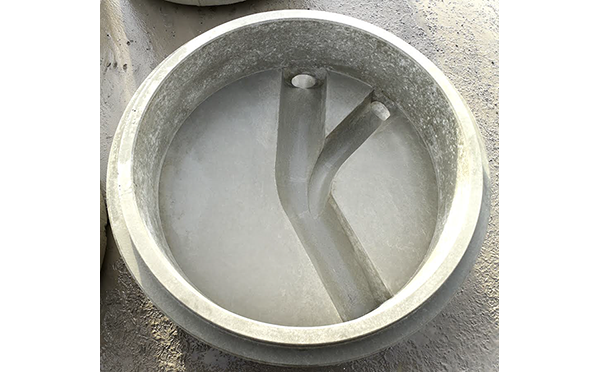 No need to surround in concrete unless specifically required – Min 130mm base wall thickness. Anchor system ensures speedy and precise positioning. 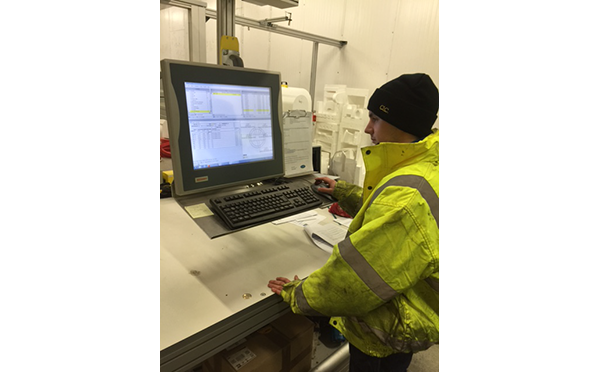 Our modern methods of production enables the delivery of all components including monolithic bases at short notice. All designed monolithic perfect base characteristics such as location of the inlets and outlets and invert configuration can be manufactured individually and exactly in accordance to the wishes of the specifier and client. Everything flows. Optimised flow characteristics by customised base configuration of all inlets and precise drop in channels and pipe connections. 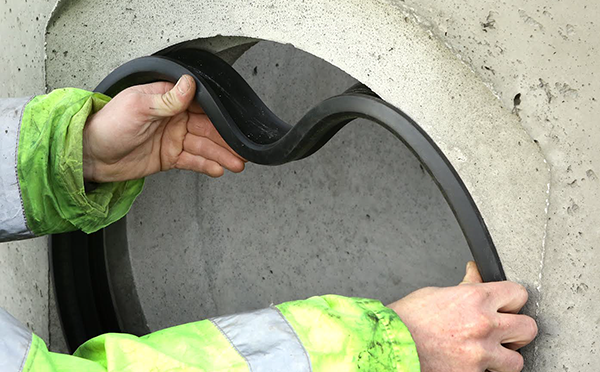 Watertight and durable connection seals for plastic, concrete and day pipes. The combination of a thicker wall and butyl seal or rubber joints ensures a watertight structure. A water tight homogenous base section is achieved once the base is lifted into position. The combination of a minimum 130mm wall and sealed rubber joint is guaranteed to withstand a minimum of 5m / head pressure. Load distribution ensures even distribution of vertical loads. Correct installation can be visually confirmed. Available in varying depths for efficient construction. Available pre-benched or plain bottom with or without inlet/outlets. The perfect manhole can connect to plastic, clay or concrete giving you a larger choice. The whole system from base to cover slab is subject to testing. Built to last. High quality durable concrete with a minimum 120 year design life. * Weights stated in above table are for Straight Through Perfect Bases. * Perfect Base weights may vary depending on configuration, number and size of inlets. * Contact our sales office for further information. Smaller connections are available for the 1800mm Standard Base Unit on request. (LA) = 3 lift anchors 2.5t (LH) = lifting holes, refers to table 9. Order your Perfect Base unit using the diagram. 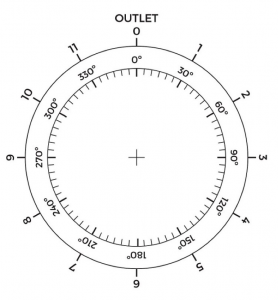 Use clock face or degrees. 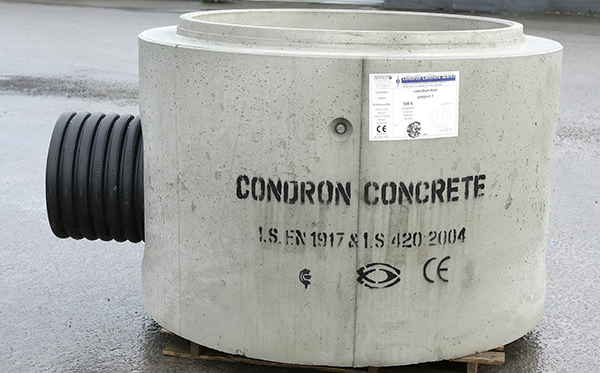 To order please print this PDF and E-mail to info@condronconcrete.ie we will then send login details and unique password to use The Perfect Base Software.